Just imagine how easy German could be… Simple, short sentences with a simple word order. 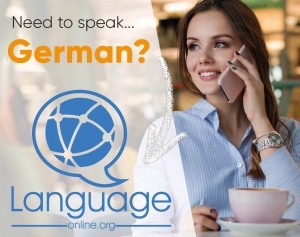 Well, in combination with a good dictionary, you are ready to write beautiful texts in German and enter the depths of conversations in German. Unfortunately, reality is cruel – and even crueler when it comes to study German. Here, we have a bunch of different subordinate clauses, that allow you to express yourself in a more complex way. In this article, I’d like to talk to you about German participle clauses and go into some details about this kind of sentence. So, in the following, we will talk about what German participle clauses actually are and also talk about their correct usage, construction and their word order. Well, let’s not lose too much time and start right ahead and clear up the grammatical term of German participle clauses. Auf geht’s! So, we have reached the first point of this article. Now, we will try to describe what German participle clauses actually are. After that, we will also talk about the correct usage of this type of subordinate clause. German participle clauses are subordinate sentences that use a present or a past participle. Apart from that, they mostly refer to the subject of the corresponding main sentence. German participle clauses can be used to form long dependent sentences in a much shorter way and they also direct the attention of the reader to the main clause. Although they do not occur so frequently in the German language, you can still find them in written texts like novel and stories and even sometimes in speech. Well, let’s now go into some detail about the correct usage of German participle clauses. First of all, you should state that there are two kinds of German participle clauses in German grammar. “Seinen Hund gefüttert, widmet sich Philip dem Abendessen.” – Having fed his dog, Philip dedicates to the dinner. Second, we use the present participle to show that both actions take place at the same time. “Die Suppe mit der linken Hand umrührend, frietiert Philip das Fleisch mit der rechten Hand.” – Mixing the soup with the left hand, Philip fries the meat with the right hand. So, at this point of this article I’d like to talk about the construction and the word order of German participle clauses. Well, here are some important facts about the construction of these subordinate clauses. First, there is no subject in a German participle clause. Apart from that, the subject of the main clause is also the subject of the participle clause. Second, the full verb is turned into a participle and placed at the end of the participle clause. And third, the conjunctions and helping verbs, which are supposed to clarify temporal relationships, are not used in the participle sentence. Furthermore, the participle itself indicated whether the action take place before (past participle) or at the same time (present participle) as the action in the main clause. Well, let’s have a look at some examples that illustrate what I mean by these three points. Well, as you might have noticed, there are two types of participles necessary for the construction of German participle clauses. Here, I only want to explain their conjunction in a short way. So, in case you’d like to have some more detailed knowledge, just have a look at this article about German participles! Of course, there are some exceptions from this rule – but as I have already mentioned, just have a look at out article for more details. Especially the past participle has many exceptions in its conjugation, so try to read and study more about this type of German participle.